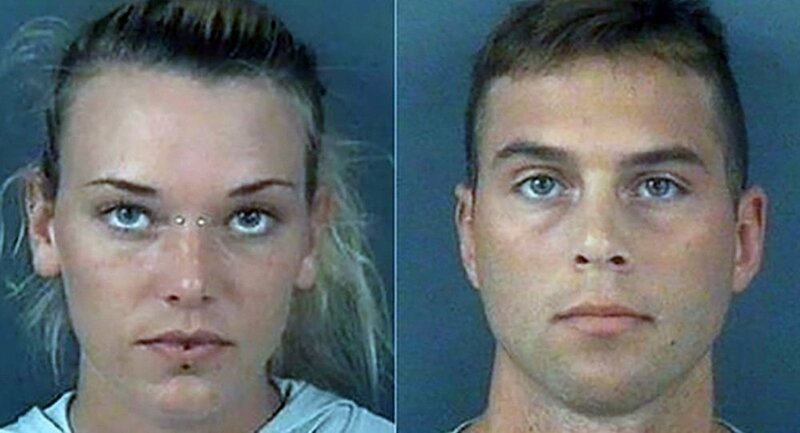 A US Army veteran and her boyfriend have been arrested and charged after they filmed themselves tying her service dog to a tree and shooting it five times as they laughed. Marinna Rollins, 23, and Jarren Heng, 25, have both been charged with cruelty to animals and conspiracy by a North Carolina prosecutor. Heng is also a US soldier in the Army Special Operations Command, and is currently stationed at Fort Bragg. Rollins received a medical retirement from the military in January, which cited PTSD and other mental health issues. Cumboui, a gray-and-white male pit bull, was an emotional support dog. According to court documents obtained by Stripes.com, Heng and Rollins took the dog to a wooded area and took pictures of him before tying him to a tree. Both were wearing camo, though Heng was shirtless and Rollins wore a pink bra. The duo then shot the dog at close range five times, which caused them to begin laughing. “Let me hit him once,” Heng can be heard saying in the footage, the Fayetteville Observer reported. After the dog’s cruel execution, Rollins dragged the animal’s body around before they buried him in a shallow grave. 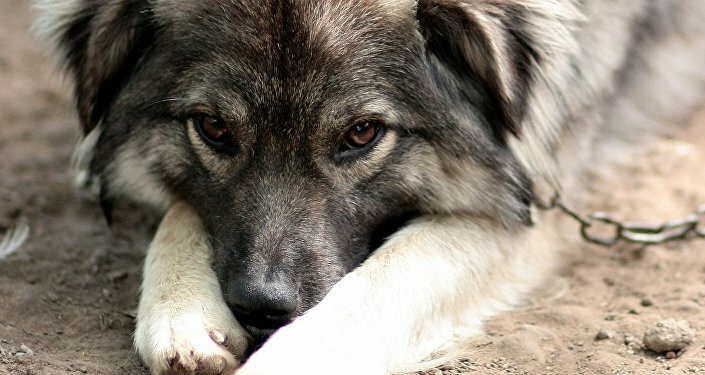 "It's been real… I love you, you're my puppy, you're a good puppy, but…," Rollins said to the dog’s body after placing it in the grave, ABC 11 reported. "Kind of put him a little deeper in there," Heng can be heard interjecting. Rollins’ estranged husband had reportedly adopted the dog from the Cumberland County Animal Shelter in January, shortly after their separation. Her husband has since been deployed to South Korea, and the dog has been in Rollins’ care. She subsequently got the dog certified as an emotional support dog. The Cumberland County Sheriff’s Office and Cumberland County Animal Control, which investigated the incident, found several videos and text messages about the killing. Rollins also posted a photo of Cumboui on Facebook before killing him, writing that she "was sad that her dog had to go to a happier place."